Shalini Gidoomal is a freelance journalist, writer, businesswoman and inveterate traveller, born, and currently living in Nairobi. She has worked on various UK and international magazines and newspapers, including The Independent, News of the World, Sunday Mirror, Today,FHM, GQ and Architectural Digest. 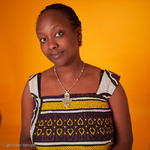 In Kenya, she has written for the East African, Travel News, The Standard, Care International and Camerapix. Her short stories and non- fiction have been published in The Obituary Tango, Jungfrau and Kwani 04. She is editorial co-ordinator for the Generation Kenya 45 project, deputy treasurer for Pen Kenya, festival director of the recently held Kwani Litfest 2008, director of Revisioning Kenya, and vice-chair of the KEPSA private sector board for Heritage and Culture. She is working on a novel. Judy Kibinge: Her filmography includes The Aftermath (2002), Dangerous Affair (Best Production Zanzibar International Film Festival 2003), Bless This Land (Best Documentary Kenya International Film Festival 2006) and most recently Coming of Age (Distinction, Belgian African Film Festival 2008) and The Necklace (2008). She owns a production house, Seven. 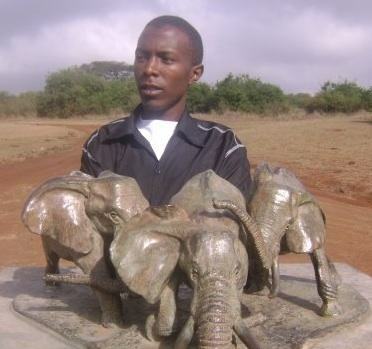 Ugo Vallauri is a PhD student at the ICT4D Collective, University of London. He works in Research & Development for Computer Aid International. His main research interest is the role of ICT in rural development, in particular mobile technologies and community media. Some of his current work focuses on new technologies and disabilities, low-power computer systems for rural areas and social networking for online collaboration. He is the editor of the Nairobi Now blog and occasionally deejays in unusual locations. He is ugomatic on twitter, gmail and elsewhere on the web. Raymond Jumah is a freelance journalist, script writer and a Journalism student at the University of Nairobi majoring in Public Relations and Advertising. He has worked as a reporter with Kenya News Agencies and as a correspondent with the Nation Media Group.Although taking a proffessional training in Journalism his true passion is in pruduction where he is finalising a script at the moment. 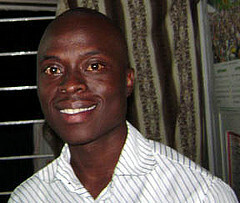 Cyprian Ogoti is a journalist and a blogger. He has been involved with Revisioning Kenya since the beginning, contributing to the SAMOSA festival and to the Kwani litfest in 2008. He has worked with the BBC World Service on Kimasomaso, a youth programme on health issues. He contributes to Tuko base program, a youth programme at K24 news channel on political social and health issues. As a photojournalist, he worked for the school publications Journalistar and Anvil. He currently volunteers with Kenyans for Change, a programme set to educate young Kenyans on leadership and governance. He is currently a fourth year student at the University of Nairobi.